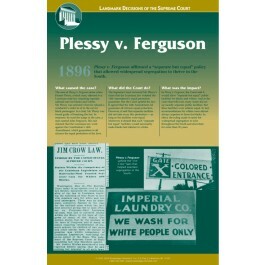 This educational poster focuses on the landmark Supreme Court case known as Plessy v. Ferguson, one of the most important and influential decisions of the high court. It clearly explains the events that led up to the case, the court's decision, and its impact on our nation. 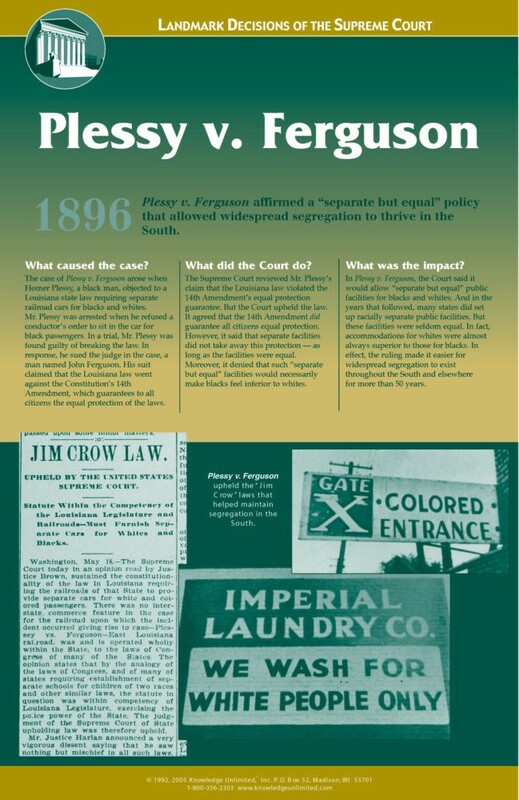 The Plessy v. Ferguson decision of 1896 affirmed a "separate but equal" policy that allowed widespread segregation to thrive in the South for many decades. This poster is a great way for students to learn about the importance of this case on the history of our nation.